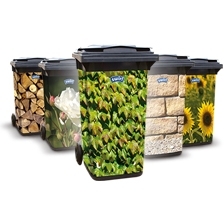 The extra reinforced material ensures high tear resistance and safe disposal of all types of waste. The bin liner can be closed and carried easily with the practical tie handles. 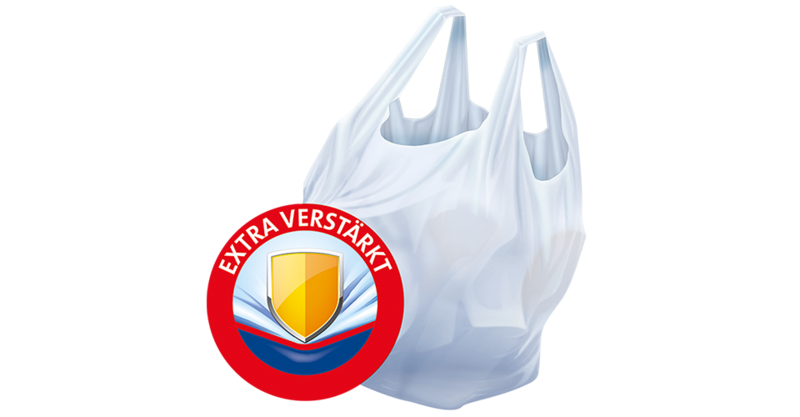 The material used for Swirl® Tear Resistant & Leakproof Tie Handle bin liners is extra thick, to guarantee the bags are highly tear resistant and leakproof. Now household waste has met its match: Swirl® Tear Resistant & Leakproof Tie Handle bin liners with extra reinforced material does not allow anything to tear or drip. Whether it is sticky leftover food or sharp edged shards, everything stays clean until the waste ends up safely in the bin. When the bag is full simply knot it with the tie handles and take it out - how practical. Available in medium sizes, Swirl® Tear Resistant & Leakproof Tie Handle bin liners are ideal for use in the kitchen and the rest of the home.